SIUI has a State Certified Corporate Technology Center, the only one in China's ultrasound industry. A number of R&D talents, and experts entitled to State Council Special Allowance work here. Over 60% of the staffs have engineering and technical background. The quality human resource provides reliable support for sustainable growth of SIUI. In terms of scientific research and development, SIUI is equipped with advanced R&D equipment and software development environment.SIUI insists to technology innovation, self development and co-development, fully control of core technologies. SIUI has set up R&D facility in the US, worked with famous higher education facilities such as Tsinghua University, University of Electronic Science and Technology and Harbin Institute of Technology, as well as well-known hi-tech companies, continuously making breakthrough in technical field. 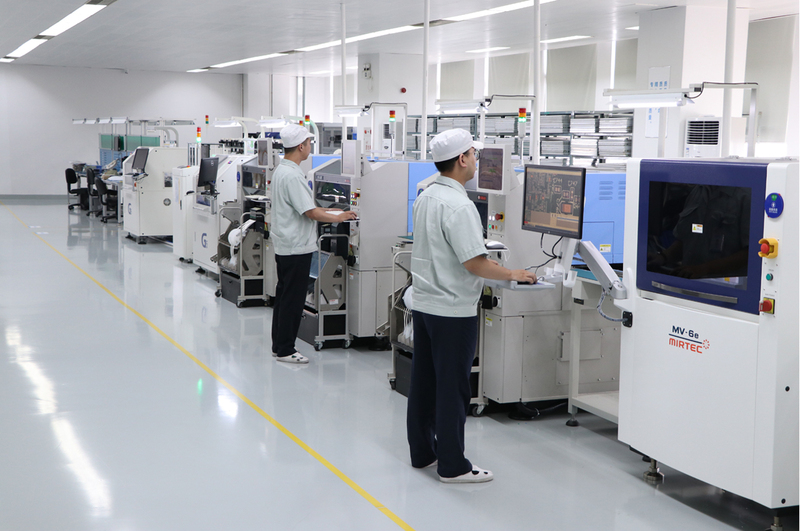 SIUI has the biggest manufacture base of ultrasound instruments in China with multiple advanced SMT lines, transducer and machining production lines, a large number of experienced production and engineering technicians and mature logistics at home and abroad. Currently SIUI’s annual production capability is up to 8,000 main units and 20,000 transducers for medical ultrasound, and 20,000 main units and 100,000 transducers for UT products, the leading manufacturer of the industry in China. SIUI is therefore certified as one of Top 50 Guangdong Equipment Manufacturers. Aiming at high processing precision and sophisticated manufacture technique of medical and non-destructive testing ultrasound systems, SIUI persists in in-house manufacture of main components such as PCBs and transducers and crucial procedures, which plays a key role in product quality assurance, system integration and product anti-interference.